Co-operatives are a valuable way for Canadians to share ownership in a business, while delivering goods and services to communities. They’re also important to growth and innovation within the Canadian economy. That’s why the Government of Canada has a plan to strengthen the role co-operatives play in Canada’s success. Today marks the one-year anniversary of M-100 (Role of co-operatives), a private member’s motion that received unanimous support in the House of Commons on April 5, 2017. M-100 recognizes the important role that co-operatives play in communities across Canada. The Government of Canada provides support to co-operatives through a range of programs and services. For example, in the last year, Innovation, Science and Economic Development Canada and its portfolio partners have provided a total of $8.9 million in direct support to 46 Canadian co-operatives through the regional development agencies and the Canada Small Business Financing Program. Since this motion was tabled by Alexandra Mendès, the Government of Canada has been working hard to provide a response that is well informed and meets the needs of the co-operative sector. 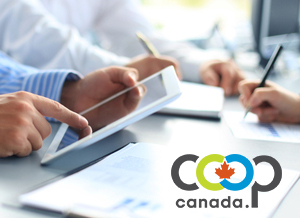 modernizing co-operative sector data to ensure that the co-operative sector and Canadians have access to the latest and most relevant data on the co-operative business model. At the same time, the Government will continue to engage with the co-operative sector, federal, provincial and territorial colleagues, and Indigenous communities to identify additional steps it can take to support innovation within the sector. In the coming months, the Government will publish a comprehensive policy paper, hold a policy forum and consult with relevant partners to explore how the co-operative business model can support government priorities, including Indigenous economic development, women and youth entrepreneurship, clean tech and renewable energy, and community-based innovation such as programs addressing youth unemployment and food accessibility. This will help guide the next steps in the Government’s continued support of the co-operative sector.